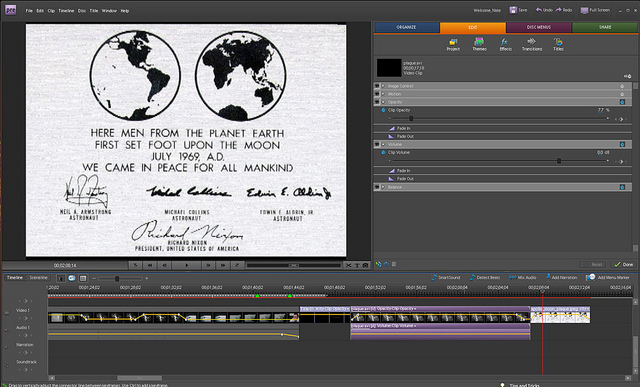 6 quick tips for using Adobe Premiere for editing video. Easy tips for any level of experienced user. I was recently given the task of creating a new YouTube video for one of our companies. 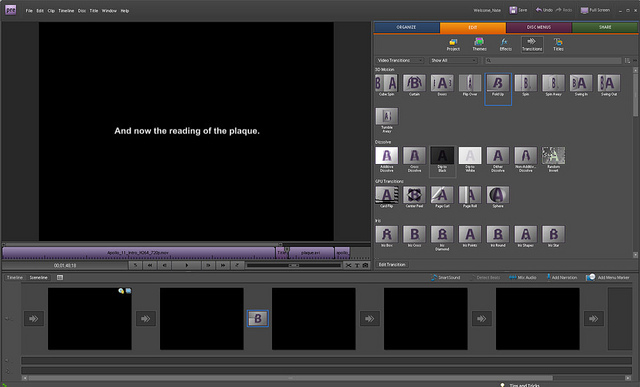 Since I don’t do a whole lot of video editing I forgot just where everything is located in Premiere. Listed below are tips for editing video. I hope they help. To add media to your movie click on organize > add media. You can add video, audio and images here. If you want to splice together more than one clip you will have to first edit your video, export it as a video file and then add these AVI’s to your project. The first thing I did before creating my video was edit all the clips that I needed then pulled them in. To export your video go to File > export. When the Export Movie box pops up you can either simply export as an avi or click on the settings button for the Export Movie Settings panel. From here you will have further export options. To add animated text first type in your preferred content. Then select your preferred animation from the panel on the right with your text selected in the left hand panel. With the animation effect high-lighted in blue, now click on the apply button. Transitions and effects give your videos life and make them worth watching. 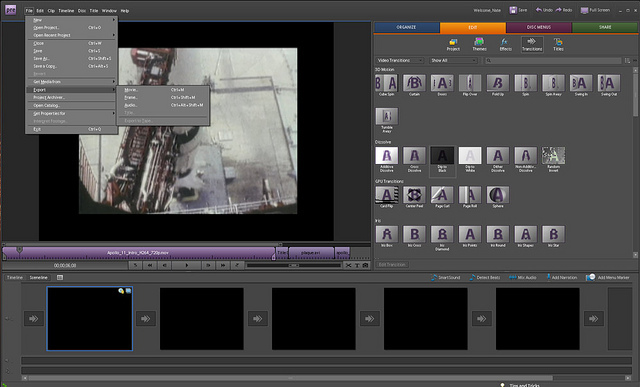 Transitions blend scenes together and effects are added to change how your video actually appears. 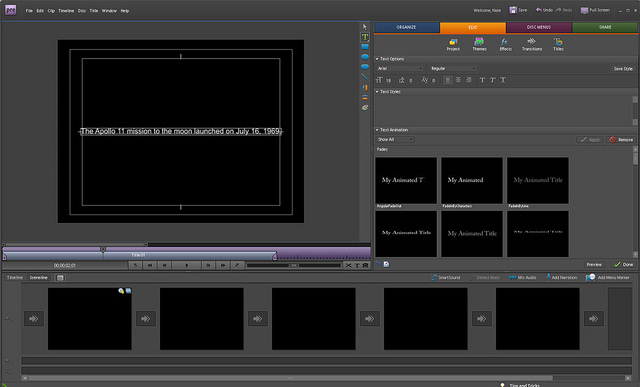 To add transitions first open the transitions panel with the Scene-line selected. Drag and drop the effect you want in the transitions panel between scenes. 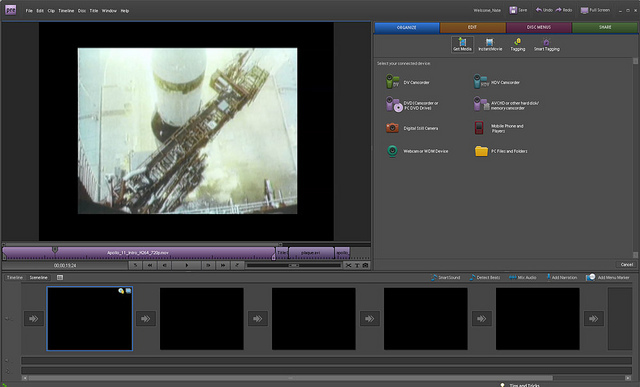 If you do this correctly you all see the associated icon highlighted in blue between your scene clips. I wanted to use the existing audio from the video clip I was given. In order to do this I needed to bring down the opacity of the video. To do this first, make sure the Timeline panel is selected. You will see a series of boxes that preview the video clips. Now with the clip you wish to turn down selected click on the properties button. 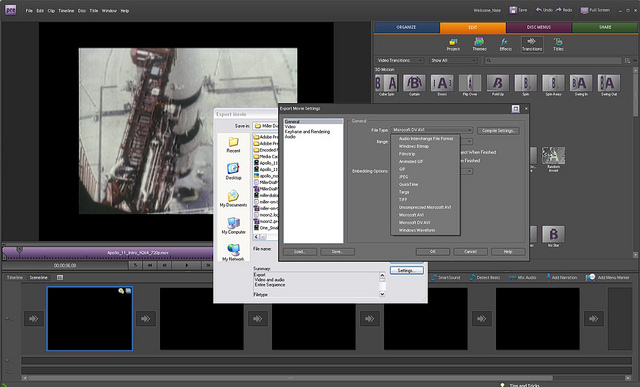 You will know your clip is selected when it is highlighted purple. The Properties button is above the timeline and looks like a bulleted list on paper. Once the properties button is clicked you will see the options panel above. Listed here are options for Image Control, Motion, Volume, Balance, and Opacity. Drop down the opacity panel. Then make sure the Video 1 carrot to the left of your timeline is selected. Decrease you opacity. This will create an editing point that you will be able to see. Next move down the timeline as far as you want your fade to last. Adjust your opacity here. Now you have a beginning and end point for your fade. Toggle the to points around until you achieve your desired fade effect. Audio is found in the same panel as your opacity settings and works just like the opacity settings. You will need to set 2 points to fade out the sound. You will see another time line pop up when you select the audio drop down below your video timeline. This is where you will set yours in and out points. Again make sure that the audio carrots to the left are selected. This allows you to add points to your timeline. Then move the timeline slider down your audio timeline to where you wish to fade your track out. Toggle the audio accordingly and presto. 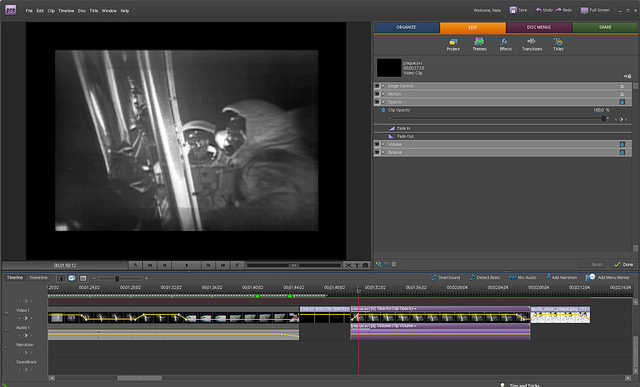 Video editing is something I don’t do all the time. If you’re a pro and have some better tips than what are a list here please leave a comment. As I edit video so infrequently I had a lot of questions when it came to this task. This is how I ended up achieving my goals. Hope this helps and happy editing.